Hurunui River below Lake Sumner. Glynn Wye Range and Mt Longfellow (1900m) distant behind. 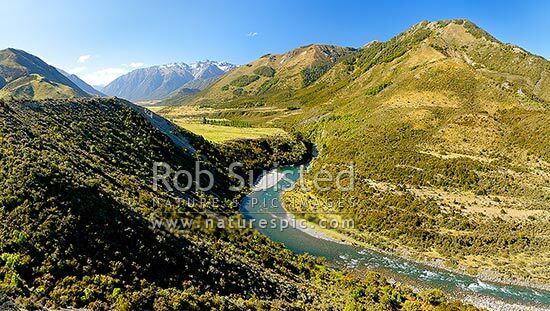 Panorama, Lake Sumner, Hurunui District, Canterbury Region, New Zealand (NZ), stock photo.